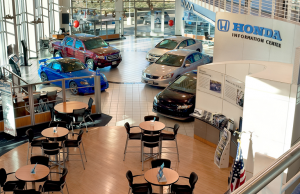 A locally owned dealership serving the Honda and Used Car needs of Albuquerque and Rio Rancho for over 30 years! Searching for a used car? Perfection Honda has been selling new and used vehicles since 1982, making us one of the most reliable car dealerships in the state. Whether you’re looking for a Honda-certified pre-owned vehicle, or a quality used car, Perfection Honda will do our best to find that perfect vehicle for you. Our finance department will work to find the right payment, making sure you can drive off the lot feeling great about your purchase..
Don’t forget to visit our used car inventory to get the best deal on your next car. And if you have any questions, our award winning sales team is ready to assist you. We will buy your car even if you don’t buy ours!